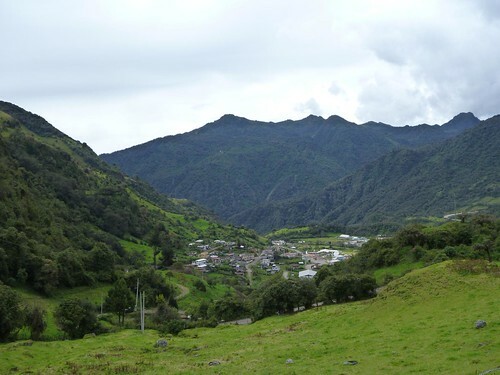 This is the town of Papallacta, on the east side of the Andes, from the road to the hot springs. Isn't it pretty? Again, the images are laid out in pairs, so you might want to make your browser window nice and wide. Lots of photos, but there are even more I uploaded to Flickr but didn't put inline here. I'm going to post these bit by bit as I assemble them, and then put up an index at the end with links. Just the photos (these plus nine more) at Flickr. I'll be adding to the Ecuador 2011 set as I put together my trip report.